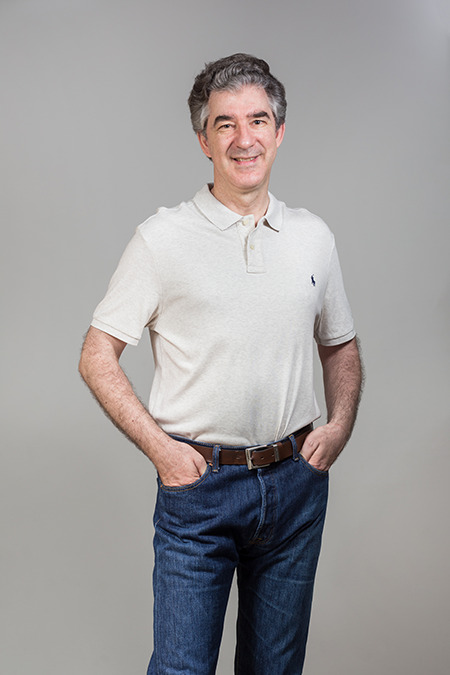 Roger Zimmermann is an Associate Professor at the School of Computing at the National University of Singapore (NUS). He is also Deputy Director with the Smart Systems Institute (SSI) at NUS. From 2010 to 2016 he co-directed the Centre of Social Media Innovations for Communities (COSMIC), a research institute funded by the National Research Foundation (NRF) of Singapore. Prior to joining NUS he held the positions of Research Area Director with the Integrated Media Systems Center (IMSC) and Research Assistant Professor at the University of Southern California (USC). He earned his M.S. and Ph.D. degrees from the Viterbi School of Engineering at the University of Southern California. Among his research interests are streaming media architectures, mobile video management, distributed and peer-to-peer systems, spatio-temporal data management and location-based services. Dr. Zimmermann is a Senior Member of the IEEE and a Distinguished Member of the ACM. He has co-authored a book, seven patents and more than two hundred-twenty conference publications, journal articles and book chapters in the areas of multimedia, GIS and information management. He has received funding from NSF (US), A*STAR (Singapore), NUS Research Institute (NUSRI, China), NRF (Singapore), and NSFC (China) as well as several industries such as Fuji Xerox, Yunphant, HP, Intel, and Pratt & Whitney. Dr. Zimmermann is on the editorial boards of the IEEE Multimedia Communications Technical Committee (MMTC) Review Board and the Springer International Journal of Multimedia Tools and Applications (MTAP). He is also an associate editor for the ACM Transactions on Multimedia journal (ACM TOMM) and he was elected as Secretary of ACM SIGSPATIAL for the term of 1 July 2014 to 30 June 2017. He has served on the conference program committees of many leading conferences and as reviewer of many journals. Recently he was the general chair of the ACM Multimedia Systems 2014 and the IEEE ISM 2015 conferences, and TPC co-chair of the ACM TVX 2017 conference. Professor Zimmermann is has received numerous awards and accolades for his research and service. He received the Best Paper Award at the 7th ACM SIGSPATIAL International Workshop on GeoStreaming (IWGS 2016). His team placed second at the ACM SIGSPATIAL GIS Cup 2013 contest on geo-fencing out of 29 entries. In 2012 he received the Best Paper Award at the IEEE International Symposium on Multimedia (ISM 2012). He was nominated for the IEEE Communications Society, Multimedia Communications Technical Committee (MMTC) Best Paper Award in 2010. His Remote Media Immersion (RMI) project was awarded an Honorable Mention in the CENIC 2003 “On the Road to a Gigabit” Awards in the ”Gigabit or Bust” category and an Idea Award by the Internet2 consortium. For his service he received the 2017 Best Editor Award of the IEEE Communications Society, Technical Committee on Multimedia Communications (MMTC) Review Board. He is a recipient the Outstanding Reviewer Award at the Pacific-Rim Conference on Multimedia (PCM 2014) and the Quality Reviewer Award at the IEEE International Conference on Multimedia and Expo (ICME 2011). More information about Dr. Zimmermann's research and activities can be found on his Google Scholar Citation page, his DBLP page, his ACM Author page, his ResearchGate page, and his Elsevier Mendeley page. His ORCID persistent digital identifier is 0000-0002-7410-2590 and his Researcher ID is D-7944-2015. Liu Q., Zhang Y., Liu Z., Yuan Y., Cheng L., and Zimmermann R. (2018) “Multi-modal Multi-task Learning for Automatic Dietary Assessment, “Thirty-second AAAI Conference on Artificial Intelligence (AAAI-18), February 2–7, 2018, New Orleans, Lousiana, USA. His team placed second at the ACM SIGSPATIAL GIS Cup 2013 contest on geo-fencing out of 29 entries. In 2012 he received the Best Paper Award at the IEEE International Symposium on Multimedia (ISM 2012). He was nominated for the IEEE Communications Society, Multimedia Communications Technical Committee (MMTC) Best Paper Award in 2010. His Remote Media Immersion (RMI) project was awarded an Honorable Mention in the CENIC 2003 “On the Road to a Gigabit” Awards in the ”Gigabit or Bust” category and an Idea Award by the Internet2 consortium. For his service he received the 2017 Best Editor Award of the IEEE Communications Society, Technical Committee on Multimedia Communications (MMTC) Review Board.